The chair lift is the quickest way to the top of Mount Gushmore. 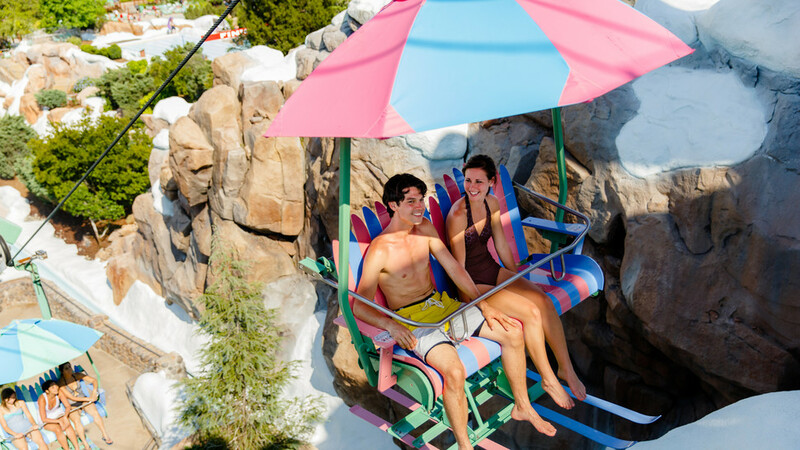 From up there you can enjoy Summit Plummet, Slush Gusher, or Teamboat Springs. A gondola is available for Guests with disabilities. Ask a Cast Member for assistance. Inner tubes and mats are not permitted on the Chairlift.